Objectives: Extract and interlink mentions of related facts and their multilingual context and establish their semantic and temporal relations in comparable corpora by leveraging hybrid computational methods while utilizing NLP and ML-based technologies. Expected Results: Hybrid computational methods for extraction and interlinking of related facts and their context across languages. Application details:To apply for positions hosted at the L3S research center please follow the instructions on the L3S Website. Objectives: Develop user interaction models that enable users to efficiently and effectively access extracted event-centric multilingual information and its context and analyse language-specific differences. Expected Results: Models for interactive efficient access to structured multilingual information and its context validated through user studies. Application details: To apply for positions hosted at the L3S research center please follow the instructions on the L3S Website. Objectives: Design a mixed-crowdsourcing workflow in which contributors who are less confident in a given language learn the tools of the trade from more experienced ones. Expected Results: A mixed-crowdsourcing workflow. Application details: To apply for positions hosted at SOTON please follow the instructions on the official Website. Objectives: Explore a set of motivations and incentives, from financial to learning (pairing people to learn languages in tandem) to challenges and reputation to understand how they would apply to technical, context-rich tasks like in multilingual information science. Expected Results: Advance state of the art with respect to platforms like Duolingo exploring relatively technical tasks for a lay audience. Objectives: Develop hybrid methods for cross-lingual fact validation and leverage multilingual distributed sources to provide a more complete set of source candidates in order to validate the facts. Expected Results: Methods for hybrid cross-lingual fact validation using heterogeneous information sources. Application details: To apply for positions hosted at UBO please follow the instructions on the official Website. Objectives: Train neural networks to convert natural language queries to a formal query language, which will then be answered using existing knowledge bases. Enable efficient user interaction and feedback to enhance results. Expected Results: End-to-end interactive Question Answering prototype trained using a neural network which will support a more expressive query language and user interaction, in particular to support event-centric questions. Objectives: Develop and research (deep) learning systems that are able to 1.) find the paragraphs and sentences in a text which are relevant to image content, and 2.) predict the granularity and semantic level of text-image relations. Expected Results: A cross-lingual model of semantic relations of textual and visual information with different levels and granularities. Application details: To apply for positions hosted at TIB please follow the instructions on the official Website. Objectives: Research how surrounding text information can be utilized to infer and refine spatial and temporal information about an image in multilingual Web sources to support cross-lingual alignment. Expected Results: Methods to detect temporal and spatial information for images by exploiting visual information and their multilingual textual context. Objectives: Explore information flows between national media, identify translingual concepts and topics emerging during the elections. Expected Results: Identification of issues remaining bounded by language or national political cultures in election information flows. Application details: To apply for positions hosted at UoL please follow the instructions on the official Website. Objectives: Explore online discussion of the two recent Olympics, which took place on different continents, in different time zones, and in different linguistic contexts. Expected Results: Identification of differences in coverage between nations of major sporting events, analysing factors such as the type of activity, the location of the event, and the languages of the host nations. Objectives: Model the phenomenon of information propagation within the dynamic network of interconnected events. In other words, the objective is to model the characteristics of information spreading once a physical event happens somewhere in the world. Expected Results: A model that facilitates tracking how the information about events spreads across languages, borders and cultures including the relations between barriers and the information spreading (e.g. delays, blocks, filters). Application details: To apply for positions hosted at JSI please follow the instructions on the official Website. Objectives: Analyse cross-lingual news reporting bias along several dimensions: topic, language, geography, political orientation, source, sentiment, time, attention and some other contextual features. Expected Results: Models describing information consumption in different parts of the world and feature analysis with respect to bias. Objectives: Perform cross-cultural comparison of Wikipedia language versions of articles on emerging news events and their temporal evolution. Expected Results: Identification of language-specific and community-specific differences across Wikipedia language editions with respect to coverage of emerging news events over time. Application details: To apply for positions hosted at UvA please follow the instructions on the official Website. Objectives: Extend Language Processing Pipelines (LPPs) for the well-resourced EU languages and gradually add new languages. Expected Results: A set of stable LPPs covering the core Language Technology tasks for most of the EU official languages. Application details: To apply for positions hosted at FFZG please follow the instructions on the official Website. 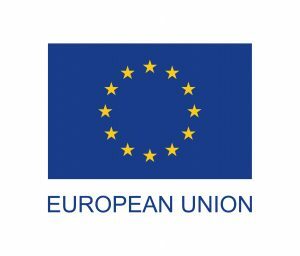 Objectives: Produce and test a cross-lingual sentiment detection module with support for under-resourced EU languages. Expected Results: A module for cross-lingual sentiment analysis, integrated in the CKPP.